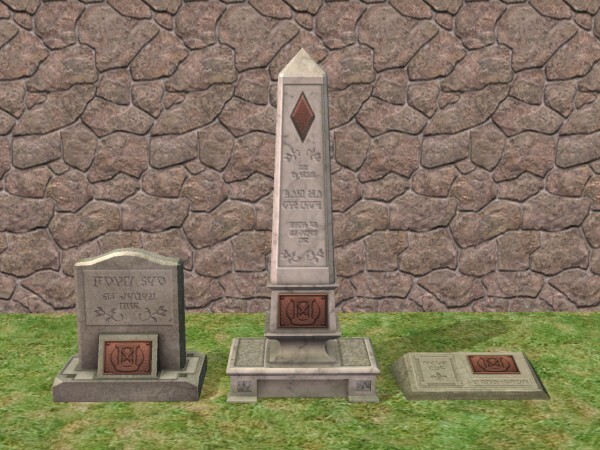 Here are the three tombstones from The Sims 3. This was a request from SimAisa101. 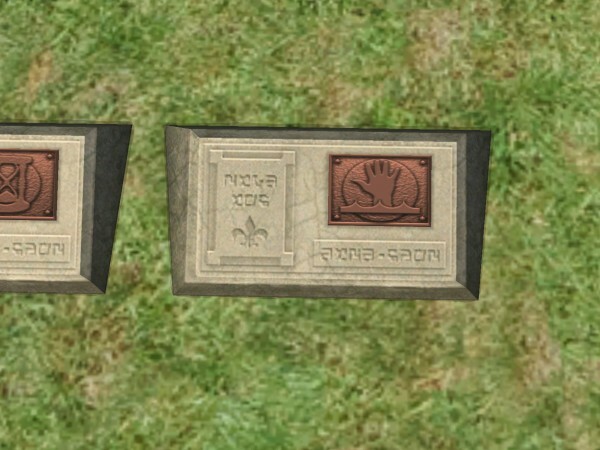 These objects, wich do not requiere any EP, can be found in the Decorative/Sculptures section of the catalog. They are fully recolorable : tombstone and plack. 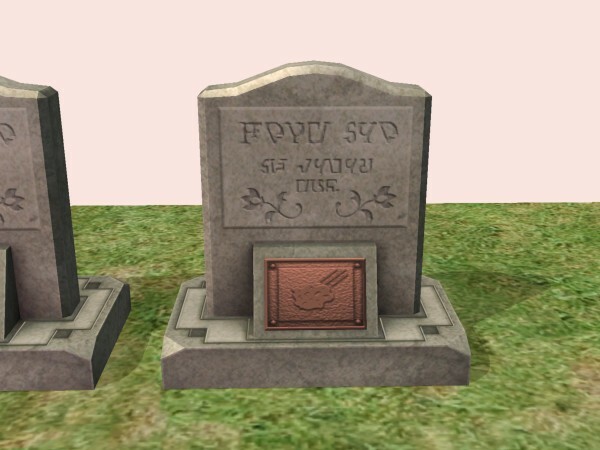 The default color texture is "Old Age" : an hourglass that mean that the Sim died from old age. 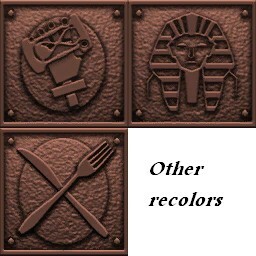 I added 8 recolors for each tombstone : "Drown", "Elect", "Fire", "Frank" (SimBot), "Hunge", "Meteor", "Mummy" and "Vampire". 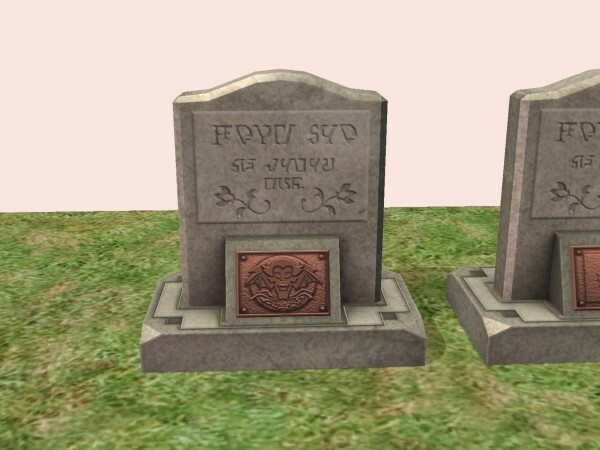 TheJim07_Sculpture_TombstonePoor.rar | Description: Contains the MESH and the default texture (Old Age). TheJim07_Sculpture_TombstonePoor_RECOLORS.rar | Description: Contains the 8 recolors of &quot;TombstonePoor&quot;. You NEED the MESH! 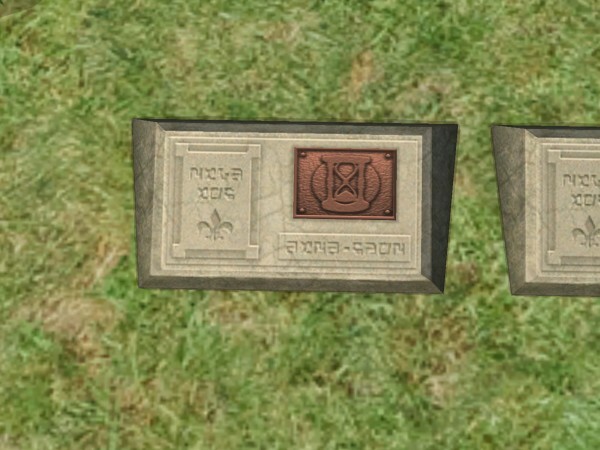 TheJim07_Sculpture_TombstoneModerate.rar | Description: Contains the MESH and the default texture (Old Age). TheJim07_Sculpture_TombstoneModerate_RECOLORS.rar | Description: Contains the 8 recolors of &quot;TombstoneModerate&quot;. You NEED the MESH! 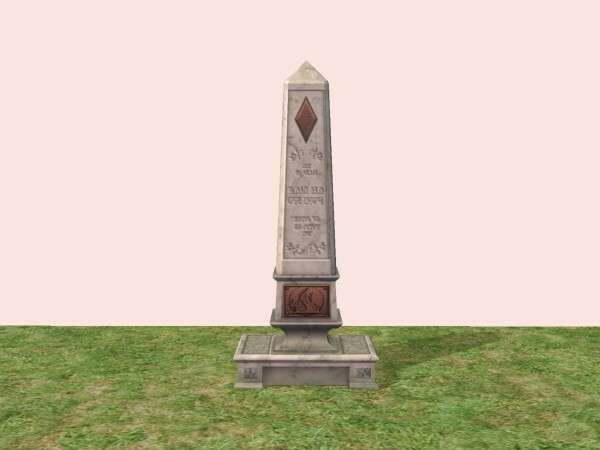 TheJim07_Sculpture_TombstoneWealthy.rar | Description: Contains the MESH and the default texture (Old Age). 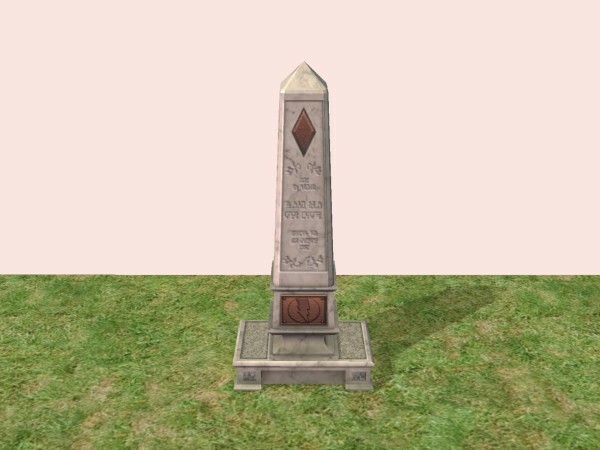 TheJim07_Sculpture_TombstoneWealthy_RECOLORS.rar | Description: Contains the 8 recolors of &quot;TombstoneWealthy&quot;. You NEED the MESH!